Mobile devices have become an integral part of our lives. In fact, 44% of cellphone owners sleep with their phones next to their beds so they won’t miss a thing. 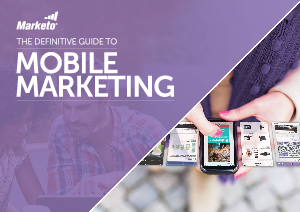 As a marketing channel that commands plenty of dedicated attention, it’s vital that marketers understand how to effectively market on mobile. Mobile is quite possibly the most personal channel that exists—it rests in someone’s pocket, sits next to their bed, and gets checked consistently throughout the day. This makes marketing on mobile incredibly important but also nuanced.